I think @Simman will agree. Comment your thoughts, friends. SimMan By the way how you do lately with your Indian portfolio? SimMan Generally speaking it is the case here. 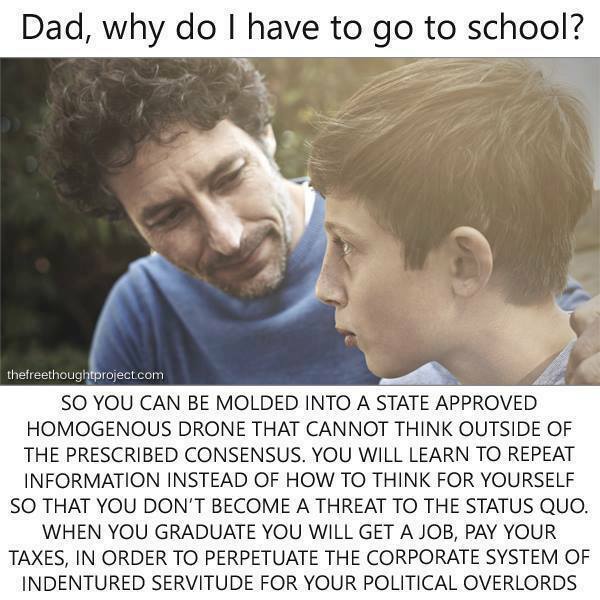 They do want to prepare you to go to the workforce, and in this corporate World they just need an obedient worker that can function as screw and bolt in their systems. If you want to break the mold, become an entrepreneur. Robin There are some schools with a big focus on creativity and entrepreneurship but sadly they're mostly expensive private schools. Still, I think until you're 15 or so school's important just to teach you the basics (and being social). After that you can learn what's necessary yourself.